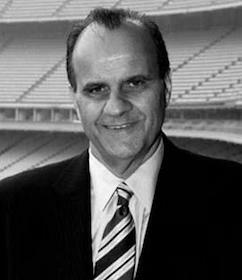 Joe Torre is Major League Baseball’s executive vice president for Baseball Operations. In this capacity, he oversees areas that include Major League Operations, On-Field Operations, On-Field Discipline and Umpiring. He serves as the Office of the Commissioner’s primary liaison to the general managers and field managers of the 30 Major League Clubs regarding all baseball and on-field matters. Since December 2009, he has served on the Commissioner’s Special Committee for On-Field Matters. Torre is also chairman of the Joe Torre Safe At Home Foundation, which he and his wife, Ali, launched in 2002. In 2010, Torre was appointed by President Barack Obama to serve on the National Advisory Committee on Violence Against Women. In Fall 2010, Torre concluded his third and final season as manager of the Los Angeles Dodgers, who he led to the National League Championship Series in 2008 and 2009. Previously, he spent 12 seasons as manager of the New York Yankees (1996-2007), guiding them to the Playoffs every year, including six World Series appearances and four World Championships (1996, 1998, 1999 and 2000). Torre made his managerial debut with the New York Mets on May 31, 1977, becoming the first player-manager in the majors since 1959. He managed the Mets until 1981 and the Atlanta Braves from 1982-84. After spending nearly six seasons as a television broadcaster for the California Angels, he managed the St Louis Cardinals from 1990-95. Torre ranks fifth in all-time managerial wins, with 2,326. The Associated Press named him Manager of the Year in 1982 and 1998. In 1996 and 1998, the Baseball Writers Association of America named him American League Manager of the Year and, in 1996, The Sporting News named him Sportsman of the Year. 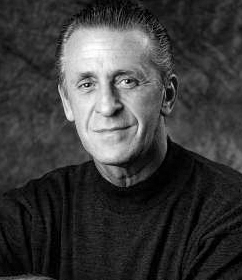 He won ESPN’s ESPY Award for Best Manager/Coach of the Year in 1997, 1999, 2000 and 2001. During his 17-year playing career (first/third baseman, catcher) with the Milwaukee/Atlanta Braves, St. Louis Cardinals and New York Mets, Torre compiled a lifetime .297 batting average, had 2,342 hits, 252 home runs and 1,185 RBI’s, and hit over .300 five times. He was a nine-time All-Star and the National League’s 1971 Most Valuable Player, batting .363 with 230 hits, 24 home runs and a league-leading 137 RBIs. The Joe Torre Safe At Home Foundation’s mission is to develop educational programs that will end the cycle of domestic violence and save lives. Since its inception, the Foundation has educated thousands of students, parents, teachers and school faculty about the devastating effects of domestic violence. Currently reaching children in nine schools and two community centers in New York and New Jersey, Margaret’s Place, a tribute to Joe’s mother, Margaret, provides middle and high school students with a “safe room,” in which to talk to each other and to a professional counselor trained in domestic violence intervention and prevention about violence-related issues. Torre is the co-author of three books: The Yankee Years (Doubleday 2009), Chasing the Dream: My Lifelong Journey to the World Series (Bantam 1997, 1998) and Joe Torre’s Ground Rules for Winners: 12 Keys to Managing Team Players, Tough Bosses, Setbacks and Success (Hyperion 1999). Torre was born on July 18, 1940 in Brooklyn, NY. He, Ali and their daughter, Andrea, live in Beverly Hills, CA. 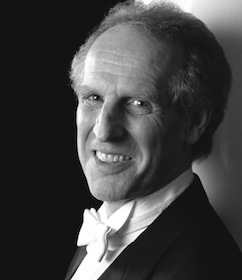 His three adult children are Michael, Cristina and Lauren.